In May of 2009, I traveled to Cape Canaveral to watch the launch of Space Shuttle Atlantis, on a mission to deliver equipment to the Hubble Space Telescope. After waiting several hours, the mass of people waiting patiently at the viewing area of the Kennedy Space Center heard the live countdown coming from mission control: “Ten . . . Nine . . . Eight . . . Seven . . . Six…” Everyone stood up and looked into the distance. “Five . . . Four . . . Three . . . Two . . . One . . . Ignition.” More than a mile away, the crowd could see as Atlantis rocketed into the sky. “We have liftoff!” The belated roar of the engines consumed the field, as the shuttle eventually disappeared into the clouds amid much clapping and cheering. The whole thing took about a minute, yet it was a singularly exuberant experience. Few things are as wondrous as the idea of leaving our planet and exploring the cosmos, at least for someone like me who, as a child, watched Close Encounters of the Third Kind (1977) and immediately fell in love with the idea of spaceships, scientists, and aliens (sure, that film may have been sci-fi, but still). Mission Control: The Unsung Heroes of Apollo is a love letter to the Apollo space program of 1961-1972, proposed by President John F. Kennedy as a response to the perceived technological superiority of the Soviet Union. The ultimate goal? Land a man on the moon before the Russians. It was successful, as we all know, and much has been written about the space explorers who risked their lives to this endeavor — the Gus Grissoms, Neil Armstrongs, and James Lovells. However, not enough has been said about those behind-the-scenes, the flight directors, controllers, and engineers whose expertise was key to the survival and safe return of the astronauts. Mission Control: The Unsung Heroes of Apollo attempts to rectify that omission. Through unprecedented access to archival footage and audio, director David Fairhead (who also co-wrote with Keith Haviland) focuses on the camaraderie and sense of purpose shared by these men — and in the sixties, they all were men — as they smoke away the tension-filled hours in their control room, figuring out coordinates, scribbling equations, and hoping no alarms light up their respective consoles. From the lessons learned after the tragic Apollo 1 fire, to the feat of creativity and teamwork which allowed the Apollo 13 crew to return to Earth unharmed after a fatal oxygen tank explosion, this ground crew served as a veritable lifeline to Earth. It’s all quite engaging, complemented by the frank recollections of Lunar Module Controller Bob Carlton (“If I could go back and do it all over again, I wouldn’t do it. It was that much of an impact on my family”), Director of Flight Operations Chris Kraft (“I don’t think any of us recognized the seriousness of the danger we had put the crew in”), and Flight Director Gene Kranz (“Somehow or other when we came together we were greater than the sum of our parts”), among many others. And while the tone is evidently one of admiration, the film never becomes mired in cheap sentimentality, due in no small part to composer Chris Roe’s elegiac yet even-handed score. 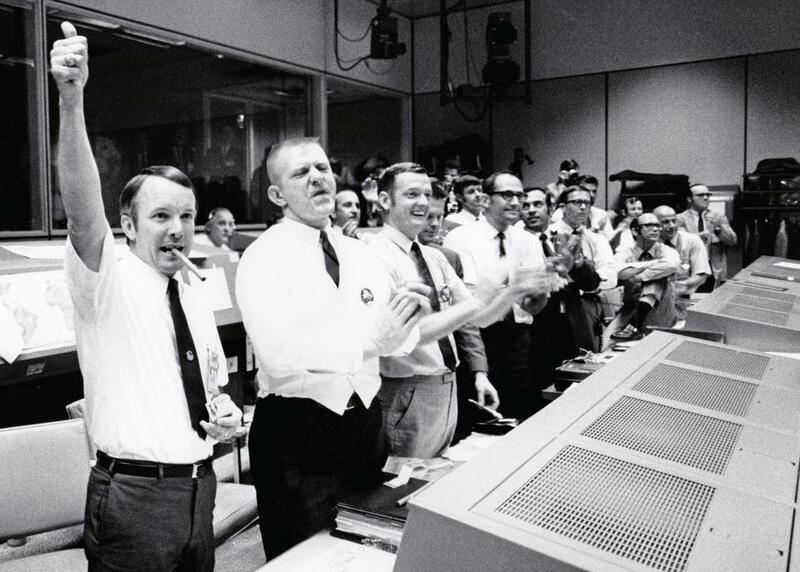 As a documentary, Mission Control: The Unsung Heroes of Apollo doesn’t take any chances in terms of narrative — it’s traditionally structured and straightforward. And yet, watching and listening to the montage of Apollo 8 as it travels behind the moon and loses all communication with NASA is as exciting a sequence as anything you’re likely to see in multiplexes this year. This is an unembellished celebration of an era in which a group of average Americans built something out of nothing and did it well. In our current climate of misinformation and active disdain towards the purpose of space exploration and even science itself, it couldn’t be more timely: A reminder of how progress and innovation is made — must, in fact, be made — by venturing literally into the unknown.